MARSHFIELD, WIS., September 26, 2011 – Nelson-Jameson, Inc. announces the release of the much anticipated 2012-2013 edition of their popular Buyers Guide for the Food Industry. Customers will notice that the new edition includes more than 30 additional pages of new and innovative products for the food and dairy industries including Tingley rain suits and acid suits, Jackson Safety* metal detectable earplugs and reading glasses, a foaming boot washer, Focus® Autoscrubbers®, HANNA® Auto Titrator for Juice, and Lindberg/Blue M Vacuum Oven. The easy-to-use “How to Order” boxes, terminology, and other guides were expanded to help provide customers with a one-stop source to find the right product for their applications. The newly designed color-coded insert also includes four additional pages of products to expand Nelson-Jameson’s already extensive color-coded offering. In an effort to give customers even more options, Nelson-Jameson now has many more color-coded products available in purple. The catalog offers many hard-to-find and specialty products exclusive to Nelson-Jameson, as well as hundreds of supply items used daily. 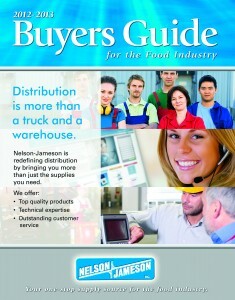 Food processing plants can request a FREE copy of the Nelson-Jameson Buyers Guide by call 800/826-8302. Or log on to their web site at www.nelsonjameson.com. Nelson-Jameson, Inc. has been an integrated supplier for the food industry since 1947. Product lines include safety & personnel, production & material handling, sanitation & janitorial, processing & flow control, laboratory & QA/QC, bulk packaging and ingredients. The company is headquartered in Marshfield, Wisconsin, with other locations in Turlock, California, Twin Falls, Idaho, and York, Pennsylvania. For more information visit the newly designed www.nelsonjameson.com. The world is a big place, but every day seems to be getting smaller. 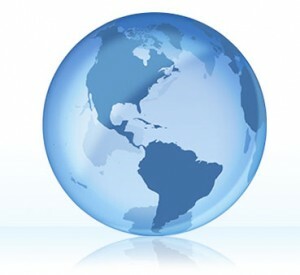 Thanks to our new and improved web site, we are receiving a significant number of inquiries from around the globe. This former Social Studies teacher just finds it amazing and exciting that we can be part of the improved safety protocols and other innovations in all regions of the world. Some of our most recent inquiries have come from places as varied as Uganda, Costa Rica, and Lithuania. We have “virtually met” so many creative, hard-working, and innovative individuals who rely on us to provide quality products for their operations. The benefits of healthy dairy — and other food — industries are leading to development of farms and processing plants over subsistence agriculture, so more people can take advantage of healthier foods. Varieties and flavors developing around the world and now available can also enrich one’s palate. How incredible to be a part of it all! Under the Food Safety Modernization Act, signed into law in January of this year, the FDA has a mandate to prioritize facility inspections according to risk. Highest risk would be foods implicated in outbreaks, and companies involved in related recalls. To help facilitate this decision process the University of Florida, Emerging Pathogen Institute, did an analysis of pathogen/ food combinations that have had the greatest impact on Quality Adjusted Life Years (QALY). QALY not only accounts for the immediate severity of an illness resulting from a food borne incident, but the long term consequences of having suffered a particular disease caused by contaminated food. Out of 168 possible food/pathogen combinations, involving 14 disease causing organisms, the top 10 combinations were selected based on QALY and cost criteria. Of course Salmonella and Listeria were among the top ranked concerns. But another organism, often overlooked in medical or epidemiological investigations, Toxoplasma gondii, appeared twice on the list. This organism is associated primarily with beef and pork and transmitted by eating raw meat. Symptoms range from physical to psychological, effecting women and men differently. And when passed thru the placenta Toxoplasmosis is very damaging to fetal development. Cats are typical intermediate hosts, and acquire the disease by eating rodents containing cysts in their muscle and nervous tissue. The organism affects the brains of these rodents causing the release of dopamine and an unfortunate attraction to cats. According to the UF Emerging Pathogens Institute, the top 10 pathogen/food combinations are: 1. Campylobacter/poultry, 2. Toxoplasma/pork, 3. Listeria/deli meats, 4. Salmonella/poultry, 5. Listeria/dairy products, 6. Salmonella/complex foods, 7. norovirus/complex foods, 8. Salmonella/produce, 9. Toxoplasma/beef and 10. Salmonella/eggs. Given the priority given to monitoring these categories by the FDA, I am sure customers will also pay special attention to the safety of these products. . Processors, and their suppliers, must employ the best sanitation practices to prevent these food/pathogen combinations from occurring. Nelson-Jameson can help design a hygiene monitoring program, using a variety of reliable environmental testing tools, to ensure these measures are effective . See our Sanitation & Environmental Testing literature for examples of hygiene monitoring products from Nelson-Jameson. The next two tradeshows Nelson-Jameson will be exhibiting at will be American Association of Bovine Practioners Annual Convention and Wisconsin Veterinary Medical Association Annual Convention. The American Association of Bovine Practitioners is an international association of over 5,000 members organized to enhance the professional lives of its members through relevant continuing eduction that will improve the well being of cattle as well as the economic success of their owners. The AABP tradeshow is a two-day show with a diverse group of attendees. 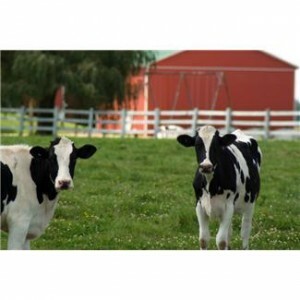 The AABP Conference provides continuing education for veterinarians that work with dairy and beef cattle. WVMA Annual Convention brings together three main groups representing the veterinarian medical profession – Wisconsin Veterinary Medical Association, Wisconsin Practice Managers Association and the Wisconsin Veterinary Technician Association. Members come from clinics, animal hospitals, referral centers, academia and more. It is the largest gathering of veterinary professionals in Wisconsin!